After Xiaomi, OnePlus is the latest company to join the Diwali sale trend by announcing a festive sale of its own. The OnePlus Diwali sale will be held from October 24 to October 26, in which the company will give registered users a chance to purchase the OnePlus 3 Soft Gold variant, OnePlus accessories, and more via the company’s online store at just Re. 1. The OnePlus Diwali flash sales will be conducted at 4:00 pm, 6:00 pm, and 8:00 pm as per the Indian Standard Time on all three days. OnePlus will offer a mystery box to the selected registered users which are to be picked through a lucky draw. The user shall finish the checkout within three hours to open the mystery box and find out what is inside it. So, in order to participate in this unique sale, customers must register on the OnePlus Store. 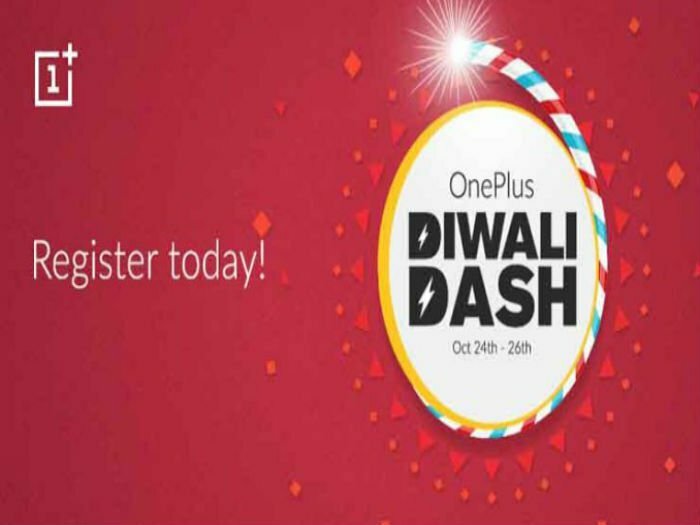 For this, the customers must create a OnePlus ID, fill in all the necessary billing and payment information, verify your phone number and then also share it on social media with the hashtag #OnePlusDiwaliDash to complete the four-step registration process for the OnePlus Diwali Dash sale. OnePlus is also giving an additional benefit to the existing customers. Every OnePlus customer is entitled to get the coupons for Rs. 250/- free of cost once they register themselves on the website as a participant to this mega sale and sharing the IMEI number of mobile phone. The Company is also coming up with a contest that includes sharing on social media like Facebook, Twitter and the lucky winner gets a chance to win a special goodie bag.